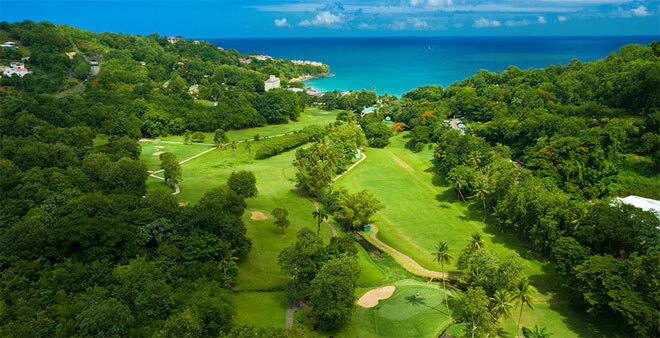 Sandals Regency La Toc offers a magnificent 9 hole golf course with rolling hills and majestic fairways directly on the premises. 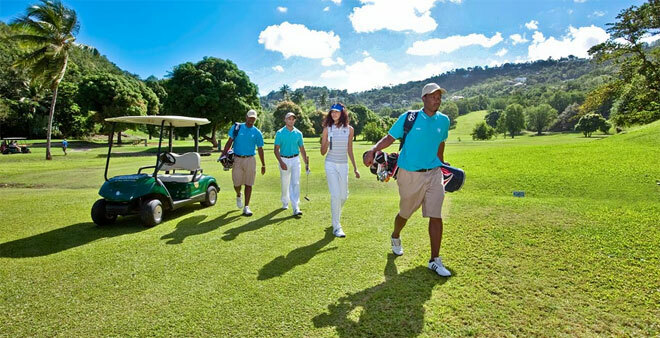 Green Fees are included with your stay at the Sandal’s resort! The par 33 La Toc golf course in Saint is surrounded by lush terrain filled with crepe myrtle, bougainvillea and other flamboyant blossoms. It features narrow fairways surrounded by rolling hills and a jungle of white cedar, almond trees and bamboo. The layout of the Sandals La Toc golf course is short (measuring only 3,141 yards) but erratic breezes and narrow fairways, create a challenge you can’t resist. Remember to bring your camera as several holes offer exquisite views you will want to capture. Enjoy the majestic view from La Toc golf course’s elevated 4th tee. From this vantage point you can see great cruise ships gliding across the turquoise Caribbean Sea. The course’s corps of 28 caddies are all eager to read greens, scout lost balls and provide crucial tips on club selection. Caddies are required at the La Toc Golf Course. Choose a Caddy and a golf cart or go old school with just a caddy. Golf pro, Gregory Mann, conducts a comprehensive, complimentary PGA certified Golf Clinic once a week. Mann also gives private lessons to intermediate and advanced players intent on fine tuning their games. 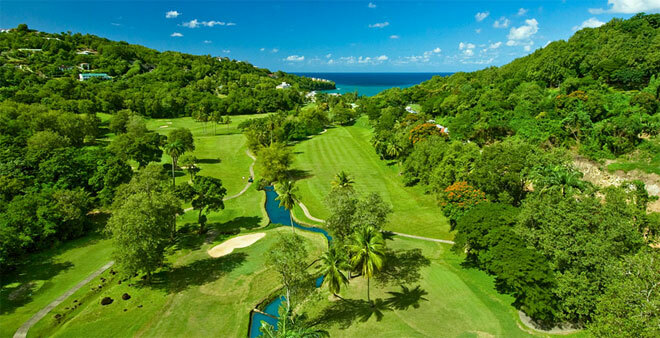 At Sandals La Toc Golf Resort & Spa, a round at this sporty 9-hole golf course in Saint Lucia is a perfect ending to a day at the sea.